Alumna, English Professor, and Dean of Women, Eleanor Sybil Ross wore many hats at Middlebury College. After graduating in 1895, Ross taught at North Wales Academy in Pennsylvania, Rutland High School in Vermont and Boise High School in Idaho before responding to President Thomas’s urgent need for a Dean of Women with intimate experience at the college. 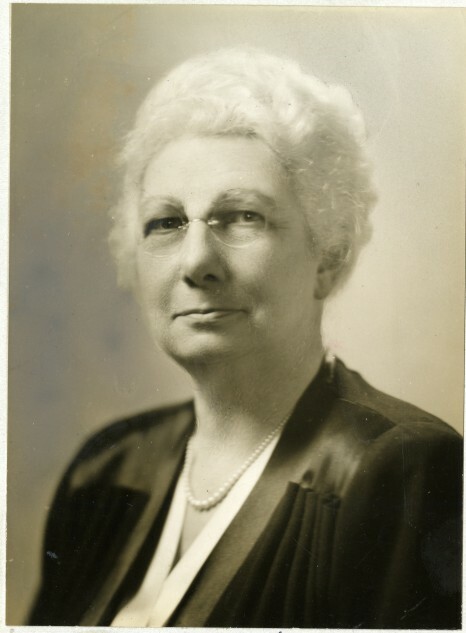 With “visions of what Middlebury should be to her daughters” and her drive to “bend every effort in this direction,” she returned to Middlebury in 1915 to serve as an Assistant Professor of English and as the Dean of Women for the next 30 years, making her Middlebury’s first alumna administrator. As one of the earliest members appointed by the president to the Advisory Board of the Women’s College, she raised awareness of the problems within and recommended changes necessary for improving women’s education. In 1953 she died in her hometown of Rutland, Vermont.